The third death of the page was for 8-month-old Mali (Malke) WEISZ. Mali's surname is clearly spelled WEISZ. But take a look at her parents' names. Her father was Fisel VEIS. Same surname, very different spelling. This wasn't just on Mali's death record. The very next death listed was that of 21-day-old Sali VEISZ. 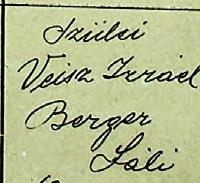 Again, Sali's surname was clearly written. But take a look at Sali's parents. 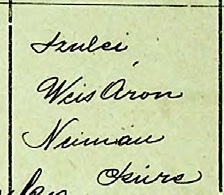 Her father was given as Aron WEIS. Again, same name--but a different spelling--and different than Mali's father as well. This wasn't limited to WEISZ/VEISZ/VEIS/WEIS deaths. On the same page is the death of 6-month-old Etel LEBOVICS. Etel's surname clearly ends in "cs." 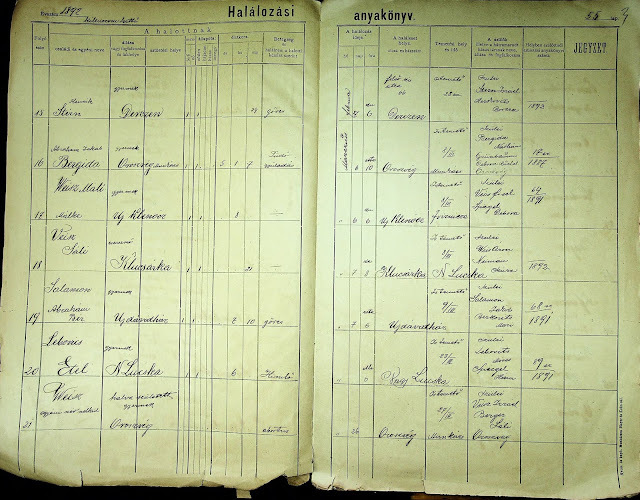 But Etel's father's name is recorded as "Moses LEBOVITS," ending in "ts." Again, spelling wasn't something that anyone really stressed over. 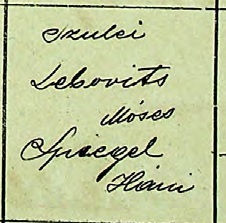 The final death on that page was for a stillborn child, who died on March 26, 1892. The child's surname was recorded as "WEISZ." 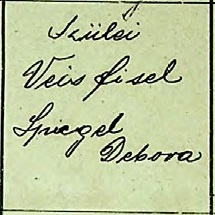 But the father of this stillborn child was recorded as "VEISZ." This phenomenon isn't limited to Munkacs-area records. I've seen it in Russian Empire records and others. I've seen it in nineteenth century American records. So next time you see a spelling that could be an alternative spelling to the one you're researching, do not disregard it! But please do not call me Laura either. You don't seem to mention a time period when this name change happened, but prior to 1900 even using an alias was not seen as something bad, people did it all the time. This isn't a name change but rather different spellings of the same name.